Immaculate one level home. Great room with gas fireplace, eating area by kitchen. Formal dining area with living room. In-ground sprinklers. Deck with automatic awning. Plumbed for vacuum system. New roof as of August 2018 with lifetime warranty. 8'x6' storage shed. Alarm system. Two in-ground ponds. Listing courtesy of Pete Anderson Realty Assoc,Inc. 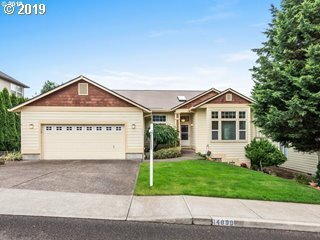 Selling Office: Berkshire Hathaway HomeServices NW Real Estate.